Your sense of smell is the most powerful sense you have, but one of those that gets forgotten so easily. As such I thought I would spend a little time with you today to give you some ideas that I love that help to create a home that smells amazing at all times. This isn’t just for your and the others living in your home, but also for any guests or visitors you may have dropping by. Your home will be inviting for anyone who is in there – perfect! There is absolutely nothing worse than a bad smell in your home – whatever that smell may be. So I wanted to give you some top tips today on how to make your home as clean and fresh smelling as possible, from now on! YOUR SENSE OF SMELL IS THE STRONGEST OF ALL THE SENSES. Have you ever smelt something and instantly been taken back to a memory? I am like that with freshly mowed grass, mint sauce and Christmas trees to name but a few. So it stands to reason that if you take the time to get your home clean and tidy, you should also make it smell the way you want it to. This will help your home feel like a much nicer place for you to spend your time. How your home smells can truly have an affect on how you (and others) feel in it. The products and people in a home make a truly unique smell, and in your own home you will barely even notice it – but it’s there, it’s what makes you feel truly at home in the space. I could often be blindfolded and led to a home that I visit a lot (family and close friends) and just by using my sense of smell I could tell where I was. That’s powerful stuff! THE TRICK IS TO MAKE YOUR HOME SMELL HOW YOU WANT IT…. I know which set of smells I’d prefer in my own home, and I will hazard a guess that you will pick the same group! See how smell can truly affect how you feel in your home? 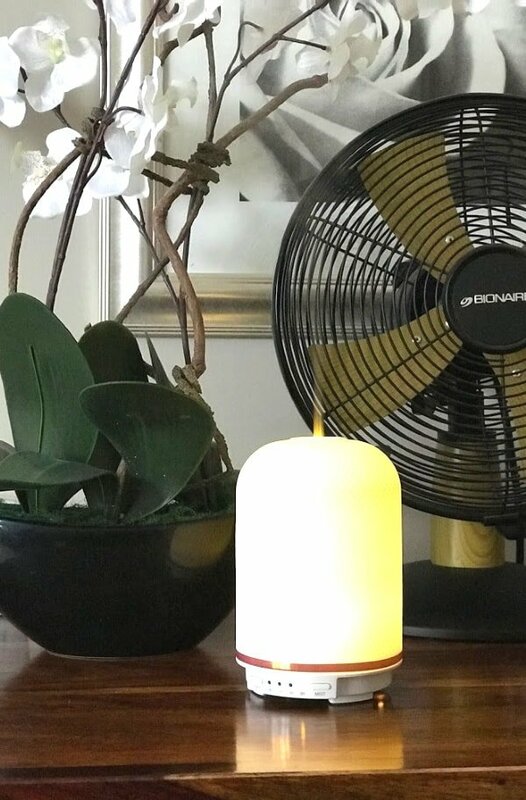 If you can tackle how your home smells on a daily basis, then you will always be sure of coming home after a day at work, or welcoming visitors, knowing that your home smells inviting, and not off-putting. One of my favourite and the best way I know to fragrance a room is by using candles**. Whether they are lit or not, the right candles will give off a soft fragrance that lasts. The other great thing is that you can pick different fragrances depending on the mood you want to create. For example – citrus works well in a kitchen, lavender is relaxing and works well in a bedroom or bathroom, while more opulent fragrances add cosiness and warmth to a living room. TIP – Always use candles** that are made from natural wax as they are better for you and your environment. Reed Diffusers** are fantastic for low maintenance and long lasting fragrance in a room (I have found they work brilliantly in hallways in particular to create a really welcoming scent). I love flowers, and I love that you can add lots of colour as well as smell with a bunch. 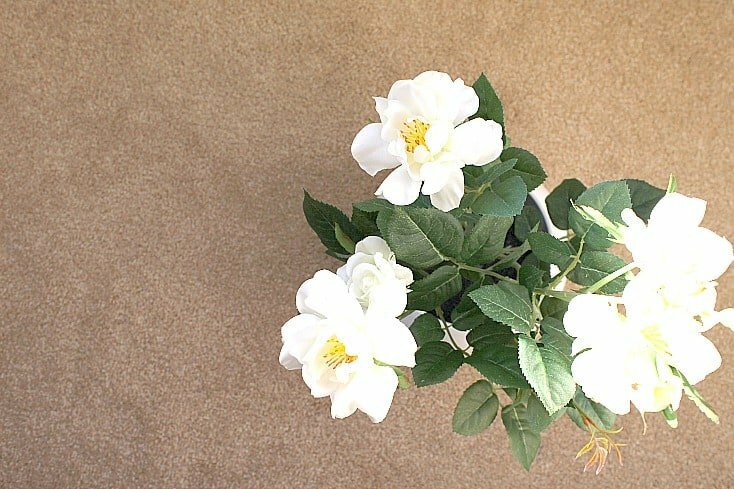 But bunches of flowers can be very expensive and don’t last long if you want to have that smell in your home each and every day. As such, If you love flowers, then go for flowering plants** as they last longer (they also clean the air for you!) – or shop for flowers at the end of the day when shops tend to discount them so you can get more for your money. Cleaning products are what we use all around our homes, and they can make a real difference to how nice our home smells. Choose ones that you love to use and that have a great smell. 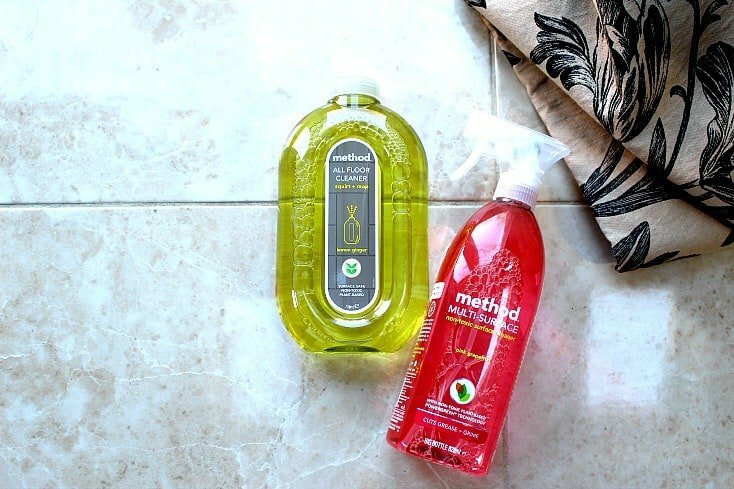 At the moment I am loving the Method range of cleaning products as they are all natural – especially their grapefruit spray** cleaner, and their lemon and ginger floor cleaner**. Whenever you get a chance (maybe just 5 mins when getting ready in the morning), open the windows and let some fresh air in. 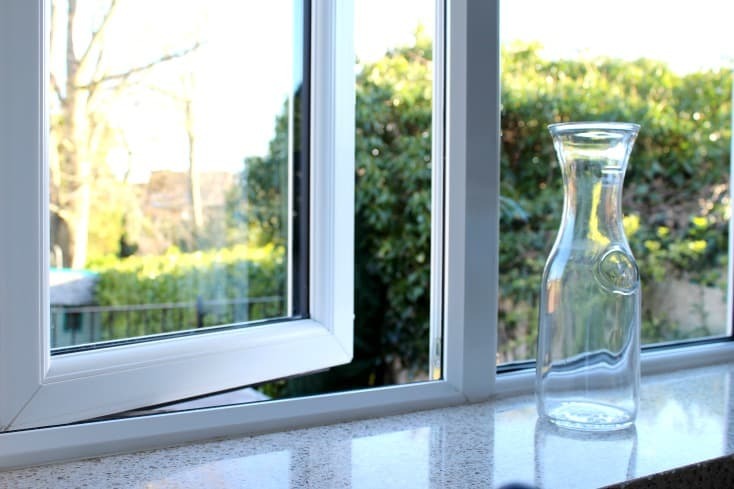 This will make a massive difference, as you can start to circulate air around the house and get stale air out. We become immune to the smell of ourselves after a while, and bedding is one of those things that can make a massive difference to the smell in our bedroom when changed regularly. There is nothing nicer than the smell of fresh laundry – but often laundry gets left a while until we come to iron it – and it has lost its freshness by then. 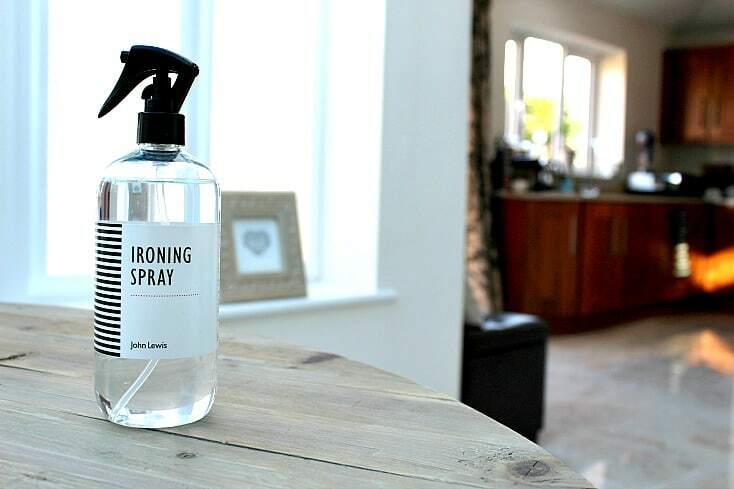 As such, I love to use a scented ironing spray** . This can bring the freshness back to your laundry and doesn’t have to cost a lot. Works particularly well for bedding. You could also make your own – there is a great tutorial over at Apartment Therapy – CLICK HERE. Using a fabric freshener such as Febreeze can work really well to give new life to already worn clothes and other fabrics around the house. Another go-to fragrance to add to a room is something I use daily on my bed – and that’s a pillow spray**. Simply sprayed onto the pillow before I get into bed, it makes relaxing much easier after a long day. It’s one of those simple luxuries that really does make a difference, and it makes the bed smell amazing too which is always a bonus as it’s the next best thing to the feeling of freshly laundered sheets. A Beautiful Mess has a great homemade recipe for this – CLICK HERE. It’s often the things we bring into the house that create smells – so wash coats and clean shoes regularly to keep things fresh. These may be my favourite method of getting a lovely smell at home at the moment – specifically the Neom Range – as they seem to last longer than others, and smell GORGEOUS! Tumble dryer sheets don’t have to just stay in your utility. Use them in wardrobes and drawers to make clothes smell fresh and clean. By this I mean that smells can linger even when you have thrown things away – if you don’t empty and clean your bins often. TIP – Use smaller bins so that you have to empty more often – taking your waste out of your house daily will eliminate the build up of those smells that you would rather not sniff! Mix some fabric conditioner and water in the sink and then wet a cloth with the mixture. Wring the cloth as dry as possible and then use this to wipe all your skirting boards, door frames etc…. The fragrance is lovely! There you have it – 15 ways to make your home smell amazing – easily! I’m sure that some of these tips will be new things for you to try, and others may be things you already do. 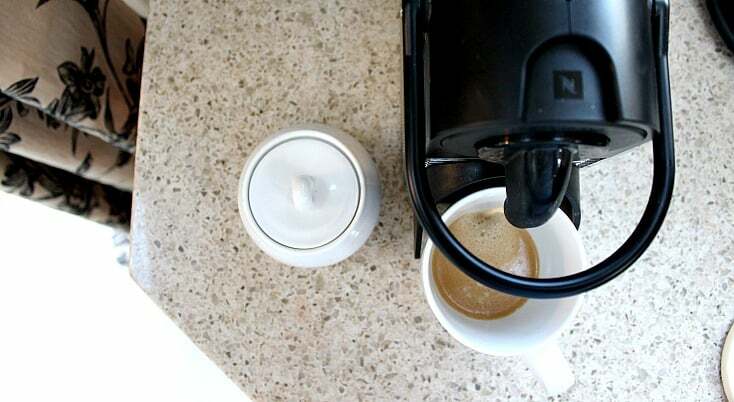 Your home really can smell amazing every day – it takes a little bit of time to make everything a habit – but you should see a real difference when you start to use some or all of these tips and tricks. P.S. If you want your home to LOOK amazing as well as smell amazing – click HERE or the button below for some fantastic Interior Design quick tips that will make all the difference to your home…. 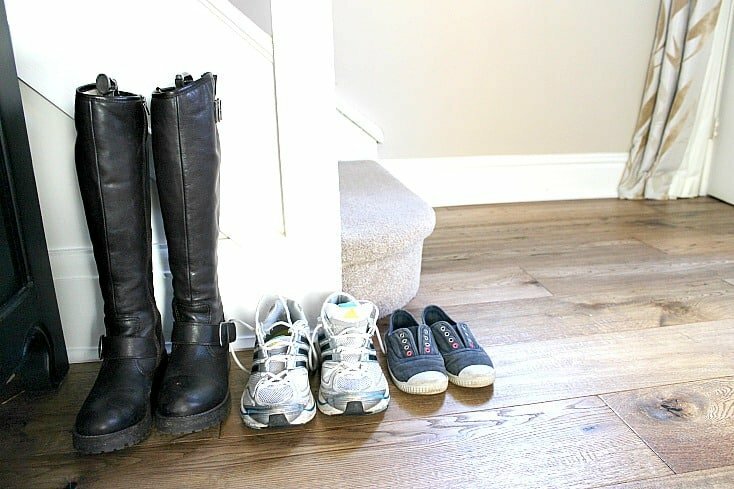 I clean homes, some other tips, that works and is important! Carpet! Carpets need freshing! I always sray freshener in carpet as i vac, chair sets, soafs hold oders!!!! Curtains are holding oders, binds! Wipe done light bulbs. Old pillows! Many homes have dirty rugs. You can uses, candles and other tricks, but this works longer! Spray mattress when changing bedding! Drains put lemons in and turn on disposal!!! Vingar in a jar left to sit takes up oders, great for smokers, burning food! Bleach poured in toilet tanks, drains. Use bleach on door ways, refrigerater handles. Pour bleach on shower floors. I have done these things in homes and everyone loves it!! Guess what the men love it, they love the clean smell! Some candles are to strong, and i start sneezing with some, but the real clean smell is AWESOME! It is a start to a old fashion clean!!! I use Scentsy wax and warmer and diffusers and oil tomake my house smell amazing. For years (I am 69) I have raised the bedroom window just a little during the winter. I am lucky enough to live near the beach in lovely California. I rarely close any of my windows! I love the ocean air blowing thru my home! It took me a while figure out it’s the plug in. I love the smell of lavender in my bedroom. I currently have a small bottle of lavender oil and I tipped half a dozen drops into the upturned lid and placed on the windowsill. The bottle itself is on my dressing table, opened, with more aroma subtly entering the room. I have my bedroom window open during the day so it is mainly evening when I am more aware of the lavender. I don’t like it near my skin as I have allergies, so no pillow spray for me. I have changed my bedding this morning and it all smells of Comfort Intense – Blue Skies. I love it. I have a new Dove soap in the shower this morning. I have been using candles and tea lights again, after taking part in your decluttering challenge. It was a case of recycle them or use them . . . and I do like candles. Some have fragrances but I like the relaxing feel of a candlelit room. I also have a diffuser in the lounge. This has a Sweet Sensations Apple Berry Crumble wax cube in the top. I bought a pack of six and they last for ages. When one has melted, left to go cool, it solidifies again, to an extent. Use another little tea light and the aroma is there again. I use Febreze Cotton Fresh air freshener, but not very often. I prefer open windows and my home to look lived in. I use Flash febreze fresh scent in my bathroom for cleaning. Love the idea of the lavender oil by the window – I may try that! I always have a couple of windows open whenever I am in the house. It’s so stuffy otherwise. Definitely going to try number 14 – thank you! I also leave the bedroom window open whatever the weather or the season, the room is cooler, the air fresher. It stops me waking up with a headache, I can hear what is going on outside and the early morning bird song and it makes me feel more connected with the world and not isolated. Connected – great word to describe it – that’s exactly it!